What These People Made Out Of Sugar Just Amazes Me! #12 Is Completely Over The Top! 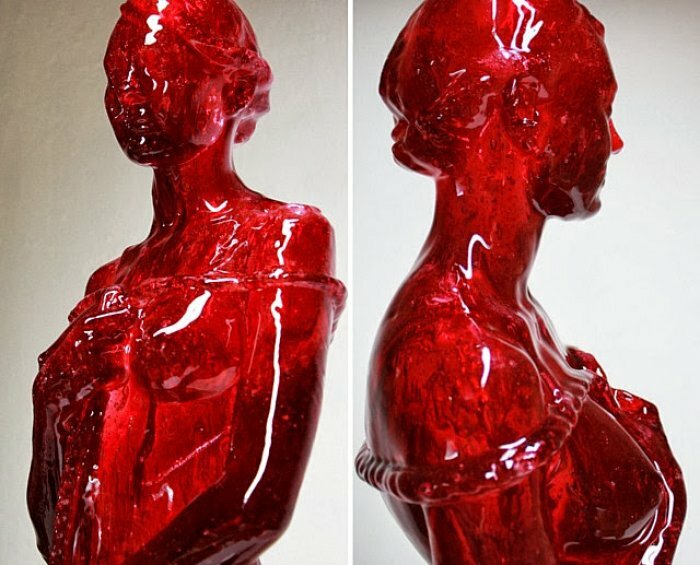 No, these sculptures are not made from glass, but old plain sugar (and sugar derivatives). 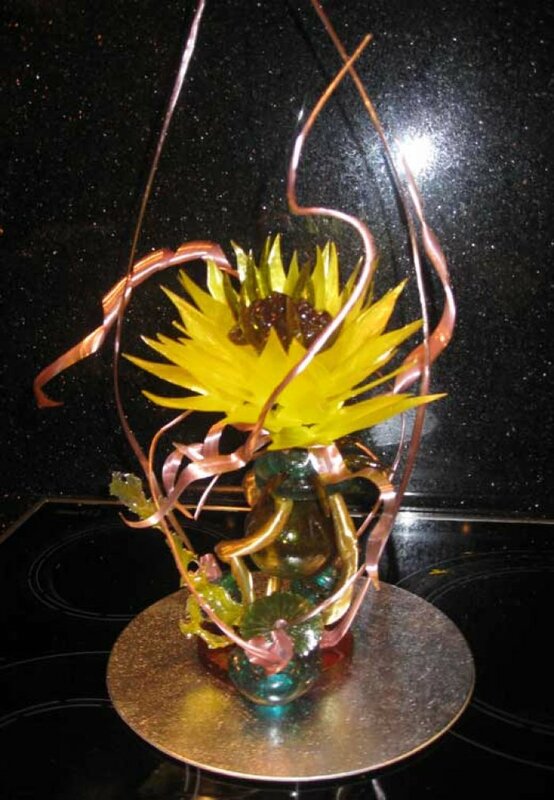 Sugar sculptures were first used as decorations for cakes and desserts, but later evolved into their own form of art. As you can see if you read forward, the sculptures in this article are pretty far from marzipan and other common materials used in cake decoration. The colors are added while the sugar is still in its liquid form, then each piece is designed separately and later on "glued" together using a gas torch. #1 - Since Joseph Marr's beautiful sculptures are preserved with several layers of Polyurethane, you can't eat his work. These human sized sculptures are colored using daily products like Coca Cola, Ahoi Brauser, or Sallos Liquorice among others instead of common color additives. #2 - I was unable to find any more information considering this spectacular sculpture, but i guess you would agree that to leave it out of the list just because of that, would have been a great mistake. Feel free to leave a comment if you can find more information and i will surely add it to the post. 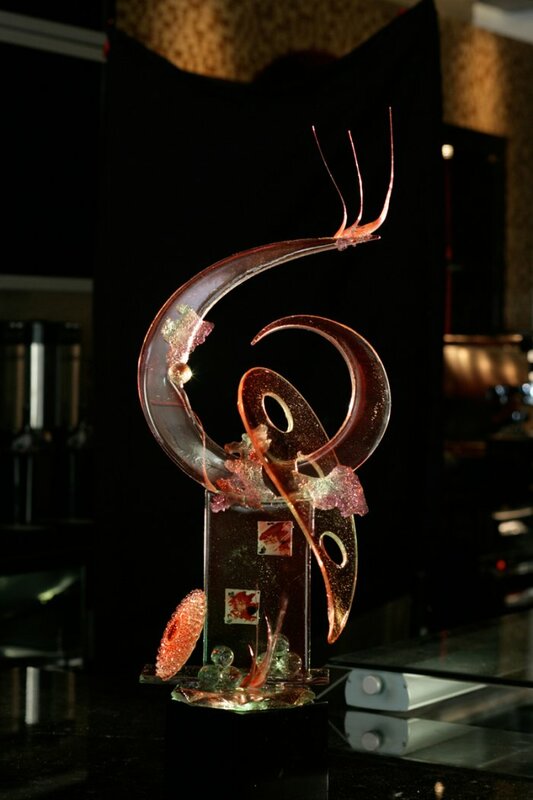 #3 - Chef Anthony Kelly from the Riverside Restaurant in Charlestown, Ireland, has already won several awards with his sculptures, including with the one pictured here. And at least to me, that's no wonder, judging by this beautiful piece of art. #4 - There are plenty of sugar sculptures which are inspired by the underwater life. 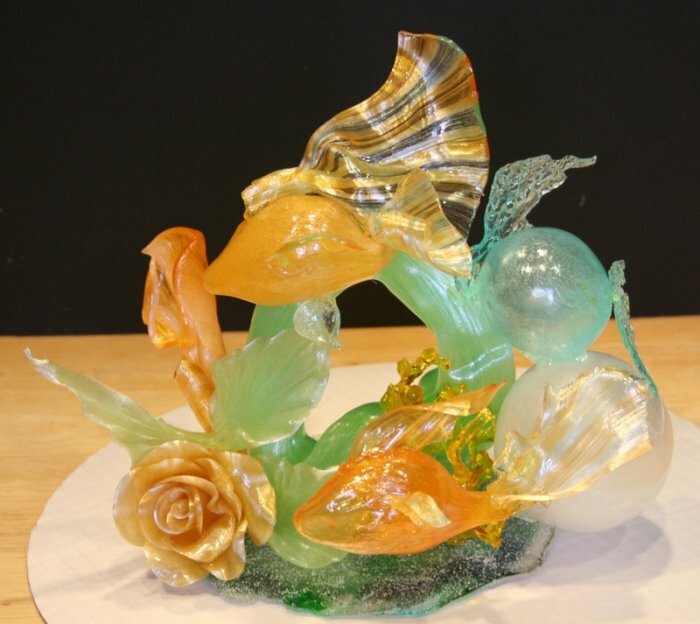 The creation process of this sculpture includes a method from another profession - Glass blowing. Parts of the goldfishes have been blown instead of formed. 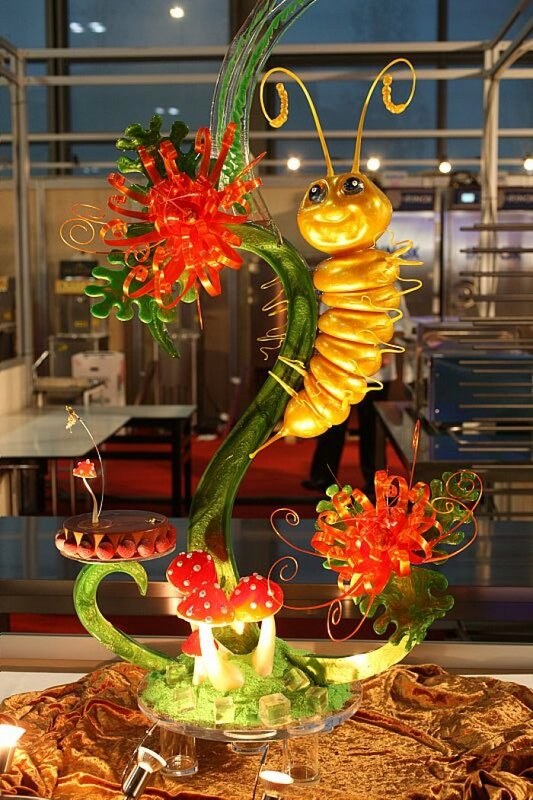 #5 - In 2010 this Caterpillar was a showpiece on display at Sigep, Italy. Sigep is considered as one of the top exhibitions in the world. Except for the base (which is a cake) the complete sculpture is made from sugar! #6 - This picture is from Jennifer Saville's Blog 'A French Confection' where she blogged about her studies in Paris where she graduated with a 'Diplome de Patisserie'. 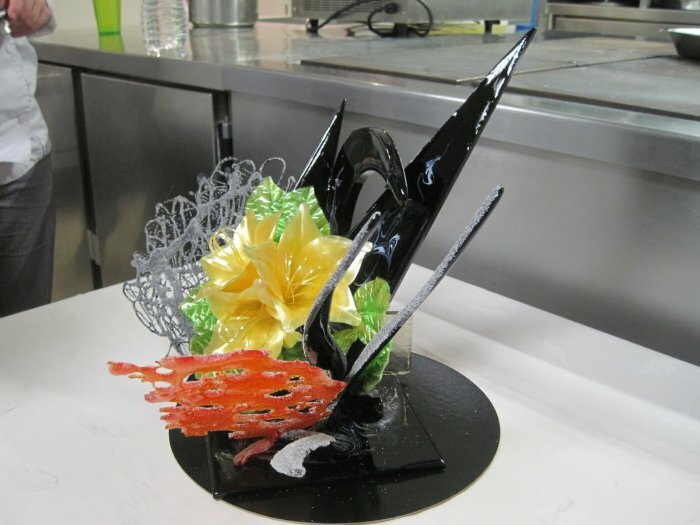 The sculptured pictured below is created by her teacher and Chef Deguinet. 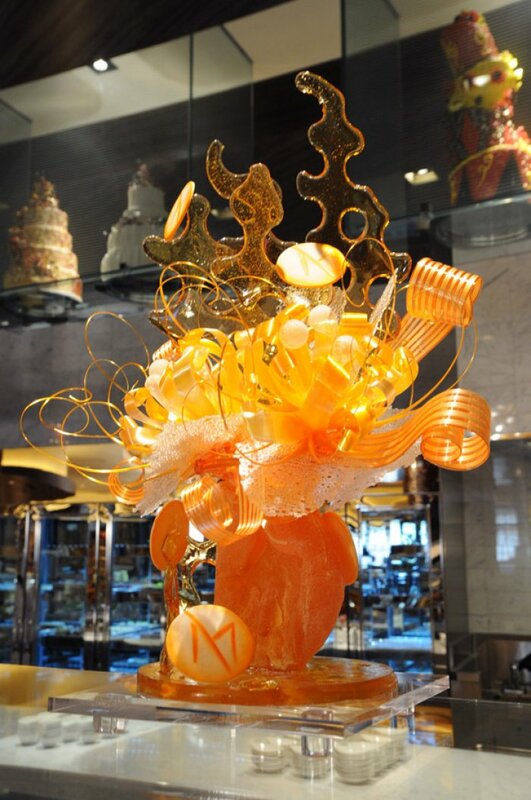 #7 - The confectionery team at the 'M-Resort' took the term 'eye candy' to a whole new level with this masterpiece. After mastering the basics, they their skills were learned by doing.